Fine-tune new factory speaker system with new audiophile quality custom crossover networks, sound-proofing and acoustic treatment to doors. 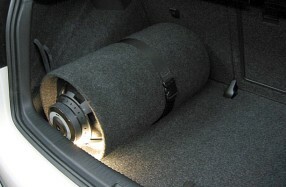 Add 4 channel Nakamichi (Old-school Japan) PA-350 amplifier & 8" active Bazooka bass-tube subwoofer. 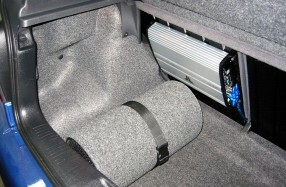 2-way system for the rear doors. 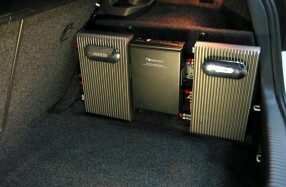 All powered by the factory 10 channel power amplifier. Make the factory headunit musical. 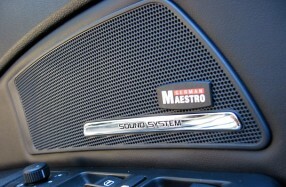 Upgrade from 4 to an 8 speaker system. 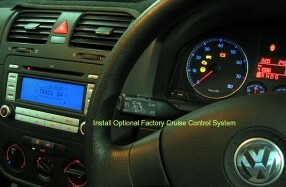 Add optional factory cruise control system. 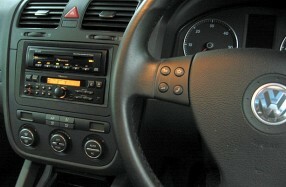 Nakamichi TA-25 Receiver and MB-60 in-dash 5 disc CD Changer. See photos below for rest of system. Custom made AVI SS-250 Bass Enclosure.